Racing fixed gear bikes at night through the desolate streets of Red Hook, Brooklyn. To David Trimble, it seemed like a perfect way to celebrate his 26th birthday back in 2007. 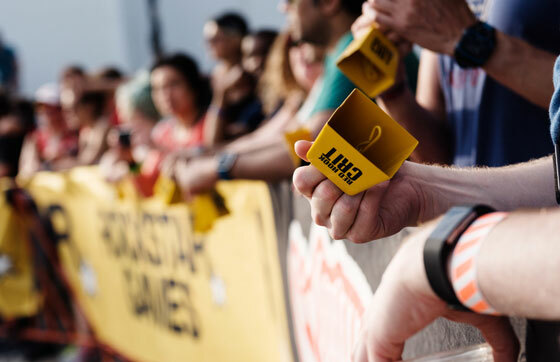 He invited friends and acquaintances to the race, with only a handful of people in attendance to witness what became the Red Hook Crit. 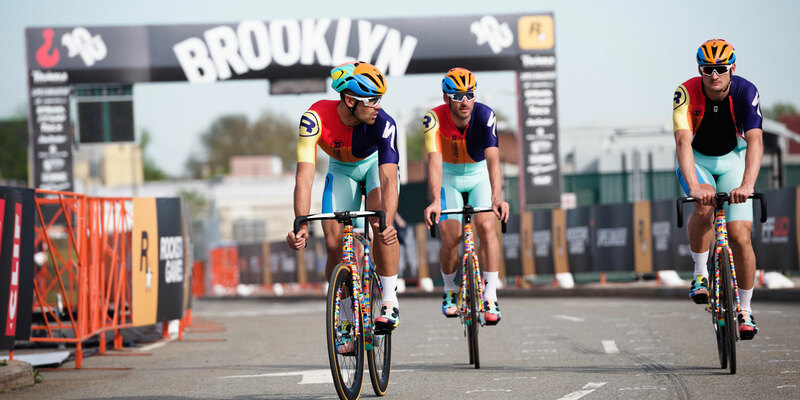 Now in its tenth edition, the once Brooklyn-centric birthday celebration has grown into a four race series, comprised of events in Barcelona, Milan and London. Each day-long event also features a 5k running race, food vendors, huge crowds, and a long list of high profile sponsors. Impressive accomplishments for any bike race, but especially for one with such humble beginnings, and one that operates outside the auspices of the UCI and USA Cycling (the sport’s governing bodies). 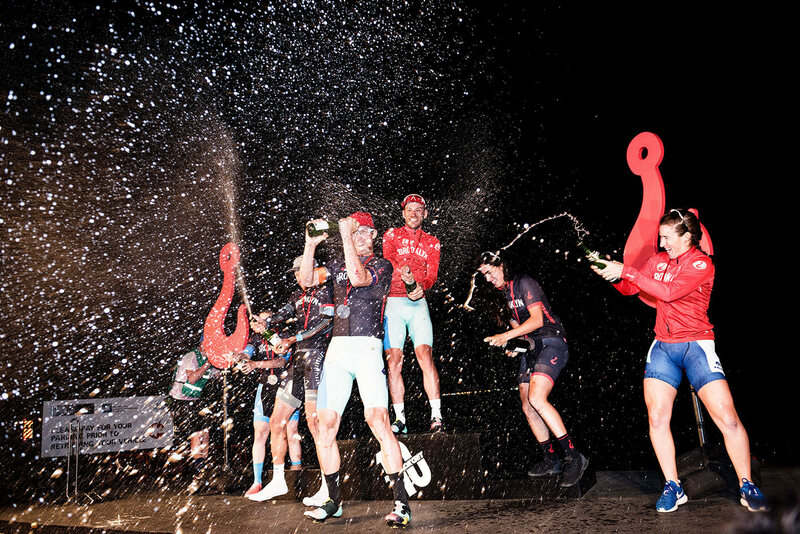 And therein lies some of the Red Hook Crit’s appeal. The race is a different kind of animal. The bikes used are brakeless, fixed-gear bikes originally meant for racing in velodromes, but now commonly used in urban settings by bike messengers and others looking for inexpensive bikes that are easy to maintain. Since the beginning, the race has attracted a limited, and very specific subset of competitive cyclists. This race is not for everyone, which only adds to its mystique. The race still takes place at night, but the course is now contained within the parking lot of Brooklyn’s Cruise Terminal, among shipping containers, dumpsters, and within view of the Statue of Liberty. But despite the safety barriers, and bails of hay around some corners, racing fixed-gear bikes on a tight urban course at night remains a dangerous affair. Many in the audience know this, and though few readily admit it, quick conversations with those in attendance reveal that most are aware of past crashes, and admit that seeing one or two (“as long as no one gets badly hurt”) would only add to the night’s entertainment. 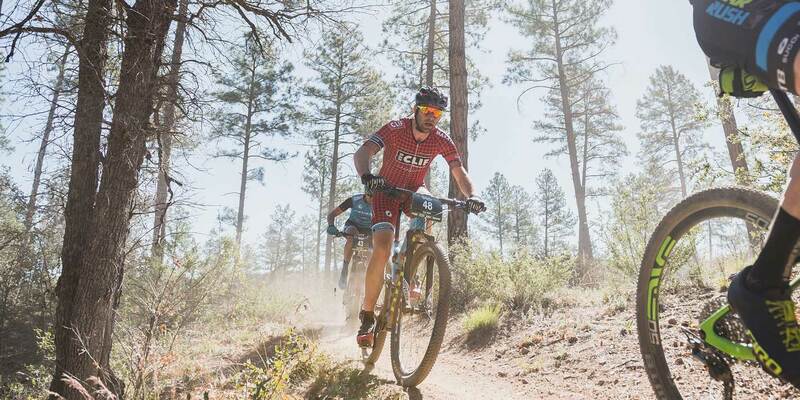 This element of danger has come to define the race, which didn’t have a closed course until 2011, further attracting fast bike messengers, amateur track riders and those hungry for adventure. At first, many of those racing had limited racing experience, and had no knowledge of race decorum. 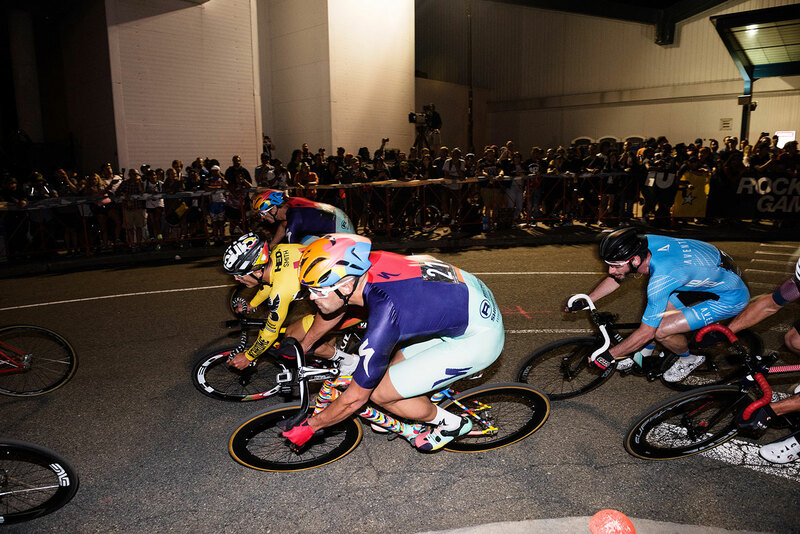 But with the level of competition rising through the years, along with media visibility, sponsors and a chance for bragging rights, it was only a matter of time before the Red Hook Crit started to grow and change. Riders from the Specialized-Rocket Espresso team (Aldo Ilešič, Eamon Lucas, Alec Briggs and Stefan Schafer) are clear signs of that change. 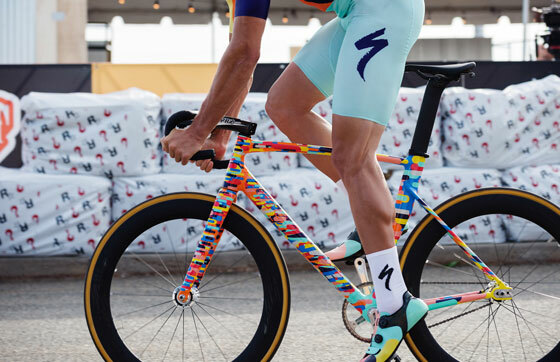 They each stand well over six feet tall, and their massive, shaved legs tell the story of individuals who have devoted their lives to competitive cycling. 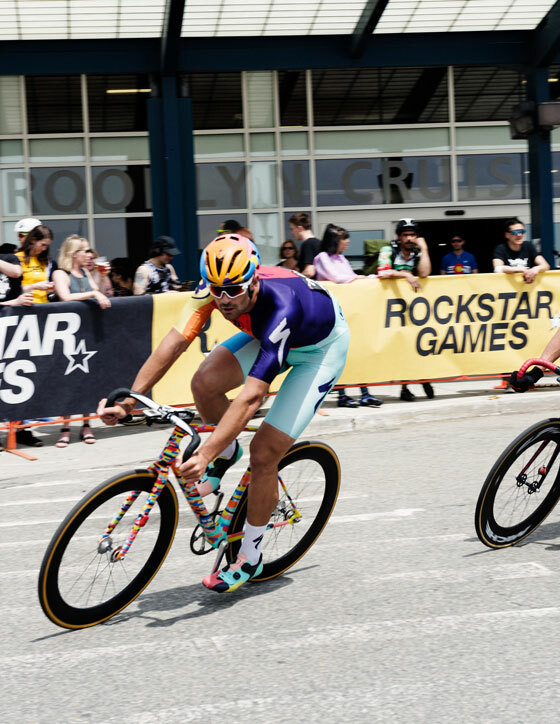 So have other riders who decided to take on the Red Hook Crit for the first time this year, past winners of stages at the Tour of California, and gold medals at the Olympic games. Further proof that what was once a casual affair, a fun and amusing oddity for amateurs, has turned into a very real, competitive race that attracts some of the best athletes in the sport. As such, there’s an obvious and visible split among those competing. As the main event gets set to start, crowds line up two and three deep in some parts of the course. Some have never been to a bike race, and thus look inquisitively at the bikes, shoes and lycra skinsuits being worn by riders. The race begins, and the pace surges instantly. 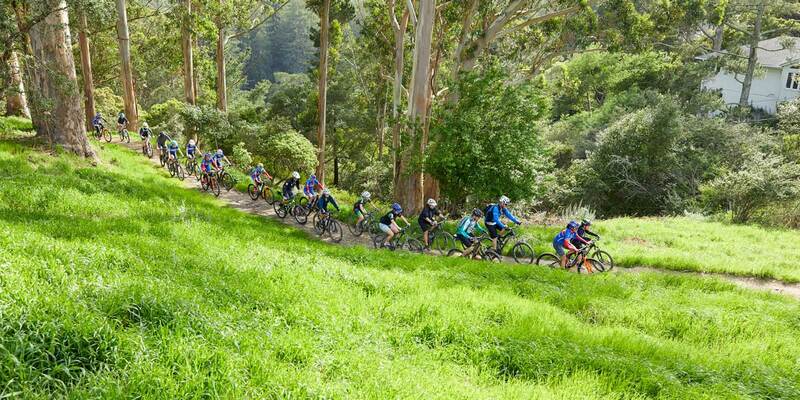 Riders flow through the course like a school of fish, slowing down only slightly as they enter hairpin turns. No small feat when one remembers that their bikes have no brakes and no freewheels, so slowing down means using your legs to oppose the force of the moving bike. Stefan Schafer, Specialized-Rocket Espresso’s German rider goes on a breakaway with last year’s winner Colin Strickland. They hold a substantial gap over the field, as Ilešič and his teammates exert their control from within the chasing field, aware that if the breakaway stays away their team could win. And that if it gets reeled back in, Ilešič can go for the win as well. With only a few laps to go, there’s a crash. Ilešič goes down. Blood starts to flow out of cuts on his right check, shin and forearm. His skinsuit rips around his hip, revealing a bulging hematoma. The race is stopped, as riders gather around the start, and wait for a restart. When it does, the original time gaps being preserved through a staggered start. In the end, the two-man breakaway arrives into the last set of curves. Schafer lags behind Strickland by several bike lengths. He looks spent. But as Strickland gains confidence, and races into the finishing straight, the German puts in one last dig. He passes last year’s winner, and crosses the line first. Seconds later, the chasing pack comes in. Ilešič wins that group sprint, leaving Specialized-Rocket Espresso with first and third place. Photographers mob the team’s riders. Curiously, Ilešič, with his bloodied face and stoic demeanor, garners far more interest from photographers than the day’s winner. Someone hands him an oversized can of Heineken. He downs it at once, crushes the can, and throws it on the floor. He gives a friendly wink intended either for the photographers, or his teammates who stand behind flashes going off. His ceremonial beer chug gets an immediate and very audible approval from the audience, as well as other riders around him. At that moment, under the dim lights of Brooklyn’s Cruise Terminal, any differences that may exist between those racing become imperceptible and unimportant. Bike messengers, elite racers, or weekend warriors, it simply doesn’t matter. Ilešič and his team dominated the race, and they did it the only way that an event like this can be won. Through determination, teamwork and brawn. And that, I would argue, is something everyone can agree on.